A: You bet! Bifocal or multifocal contact lenses offer distance and near vision, as well as points in between. Although tricky to prescribe and a bit tricky to get used to, these lenses work great. During the adaptation period, patients may see glare at night, shadows and hazy vision. Most patients learn to use their multifocal contact lenses within six weeks, though, and do very well with them. Q: For the past three weeks, I have tried two types of bifocal contacts. Also monovision. My reading vision is the problem. The contacts have not been able to correct the reading portion. The smaller the print, the more "shadow" I get around the letters and between the lines. A: Most people can see small print with appropriately prescribed contact lenses and a bit of time to adapt to them. A lot of manufacturers make products that can work. But it can also be rather tricky to prescribe these lenses. A: A very astute question from another Minnesotan! See... our brains do NOT freeze in the winter. Monovision has been used for many, many years to help people over 40 see both far away and up close with their contact lenses. Basically, what happens is that the central, clear vision of each eye sort of alternates between far and near, while the peripheral vision of both eyes stays locked together, allowing a person to see both far and near. In other words, one eye predominates at distance, and the other eye predominates at near, but both eyes continue to work as a team. Is this harmful? No. It does not permanently change the eye health or the vision system. It is definitely a compromise, but it works very well for many people. If you are not doing as well as you hoped for, hang in there. It takes weeks or months for your brain to learn how to see with this system. And work with your practitioner — small changes can make a BIG difference. A: Absolutely. We have been able to correct astigmatism (it is one word, meaning "lack of point focus") for many years with both rigid gas permeable and soft toric lenses. 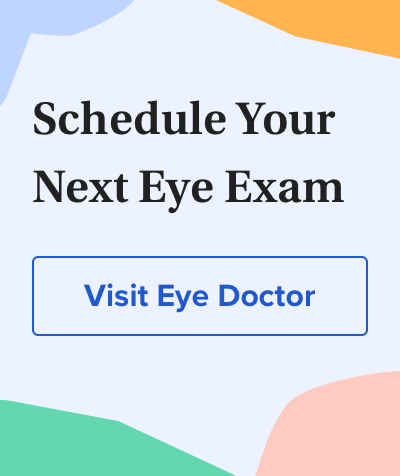 And the need for bifocals because of presbyopia is no longer a hindrance either, as there are both rigid and soft bifocal contact lenses for this as well. In fact, there are even disposable contact lenses that correct presbyopia! A very common technique is to prescribe the lenses so one eye takes the lead at distance and the other eye at near. This is called monovision, and it is very successful with most patients. A number of U.S. presidents have worn monovision.